As promised it was raining when we left this morning, not hard and not actually for very long. It wasn’t cold but there was no way that the sun was likely to fight its way through the grey sky. The initial steep and prolonged climb out of the village was over very rough and rocky pasture land. We passed a huge flock of sheep, all herded into a corner of their enclosure by a couple of mangy looking dogs. To one side of the rough path was a military area that was cordoned off with plentiful barbed wire. 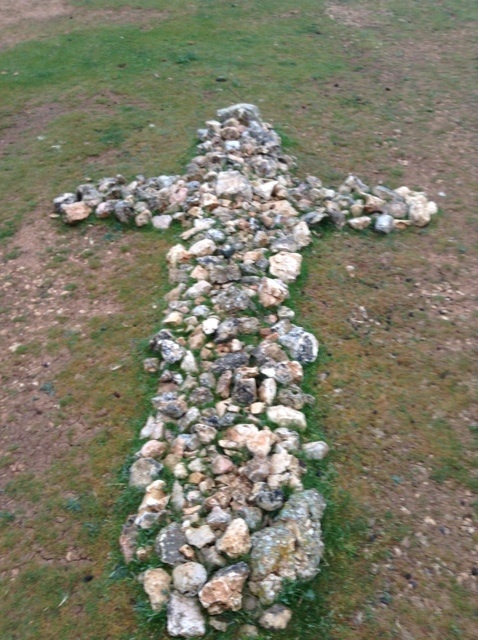 At the peak of the climb was the cross that Jens-Kristian was asking for, but it was well secured into the ground – sorry Kris! We continued on a very decent descending track until we reached a village where we stopped for breakfast, continued past a couple more pretty villages and then walked along the road – for ever. It was a really horrible day’s walking. 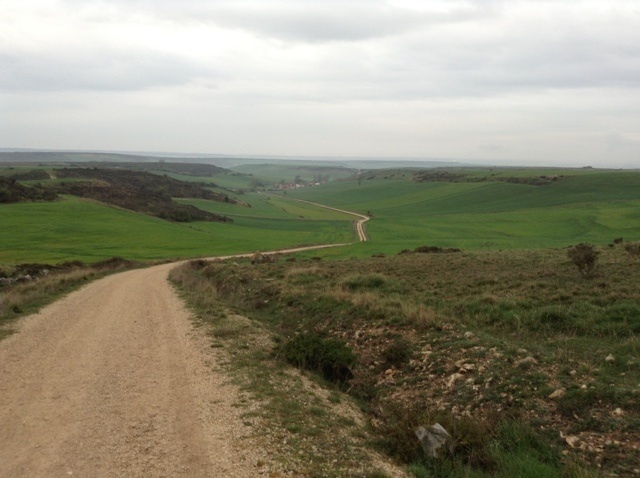 We changed from walking along a minor road to a major road, skirted a huge airfield, crossed a motorway and then commenced the interminable drag through the outskirts of Burgos. Right alongside a very busy dual carriageway, past countless commercial and industrial estates for about 10 km. It was both soul destroying and sole destroying. The only bright side was that it wasn’t bright! It would have been even worse to do this in the heat of a sunny day. Quite a few drivers beeped out to us and lots of passers-by wished us “buen camino”, which is always appreciated. Just as we approached the city centre a Hungarian girl walked with us for a while, she had almost perfect English, but said that her German was better. She was on a very short time scale and had started walking two days after us so must have done some very long distances. We stopped for a while around the beautiful cathedral and had lunch. I chose a bowl of Castilian style soup, which tasted like washing up water that had been used to rinse a chorizo pan and someone had let their old pieces of bread fall in. I also had a glass of wine and a basket of bread. I bet you couldn’t guess the price! 11.20-€. Really shocking. 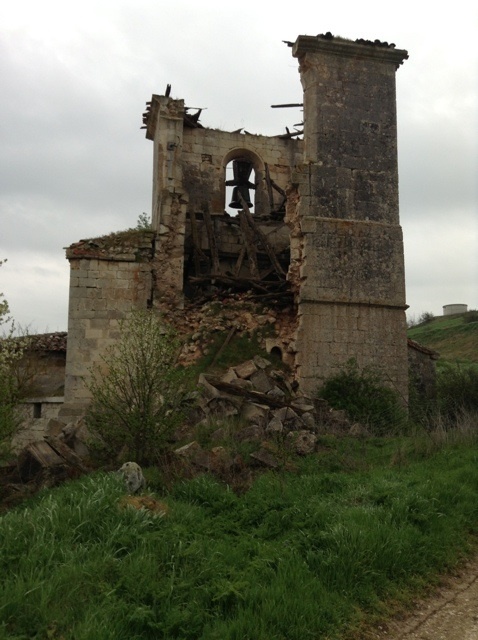 The walk out of the centre of Burgos wasn’t quite as bad as the approach, the surroundings were not so grim, but it was still a long slog – probably 4 km. 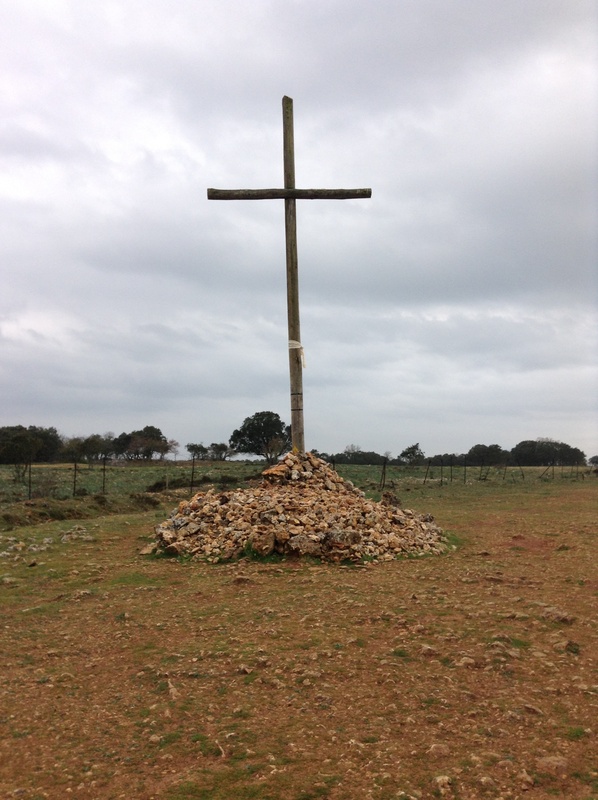 We then walked through rough pasture and along yet more roads until we reached the village of Tardajos where we found beds in a very basic albergue. As the day wore on it became colder and colder and I think I will be wearing some extra clothes to bed tonight. I am so very pleased that I didn’t follow my instinct on day 2 or 3 and dump my sleeping bag because of the weight. Although we only walked 30 km today it felt much farther and was very hard work. We have found a tatty bar which surprisingly has wifi and a decent choice of food, so that is definitely good enough for me. A guy on the next table has just told us that lots of people caught the bus through Burgos. We knew it would be a horrible walk, but we would not have been tempted to cheat. So, sorry that this is not a very inspiring post, but it has not been a very inspiring day. 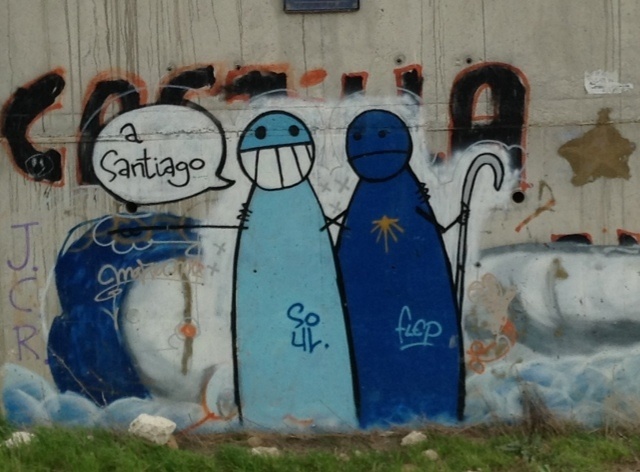 This entry was posted in Camino de Santiago de Compostela, Camino Frances, Walking the walk and tagged Altapuerca, Camino blog, Camino de Santiago blog, Camino de Santiago., Camino Frances, Tajdajoa. Bookmark the permalink. P.S. Photos of the albergues inside and outside are fascinating and much commented on and discussed. I hope you have had a better day today Maggie. I am completely in awe of you. I enjoy the reading a lot. To make it perfect, change Tardajoa to Tardajos, please. Thanks Peter for pointing this out. I had copied the name from the profile sheets I was using – I always thought it was strange. I have checked on the internet before changing – but all references are now corrected. You will have to let me know if you find any other errors! I appreciate the time you took to do this. I didn’t think to question whether the names on my stage sheet were correct. Thank you. When I did the CF in 1993 I was with a noisy group of Spaniards. 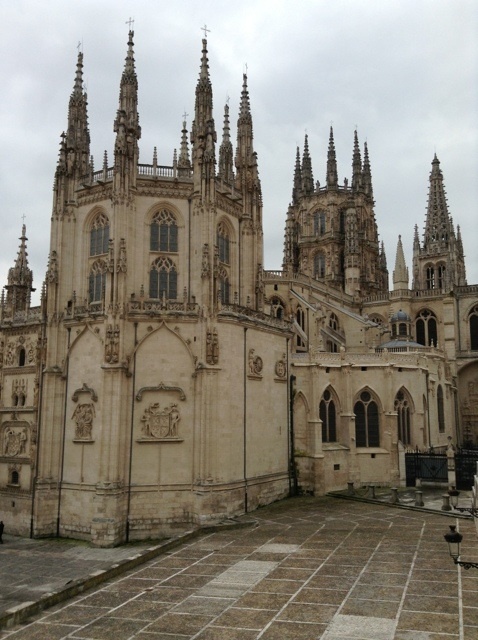 They got the bus for 4k through Burgos and I, the stubborn Englishman, walked it. Wow, 1993 – you beat me by 20 years. I live in Spain and love the spanish people, but by anyone’s standards, they are an extremely noisy race. I think the destination is more important to some spanish than the journey – that compostela means a great deal to them. 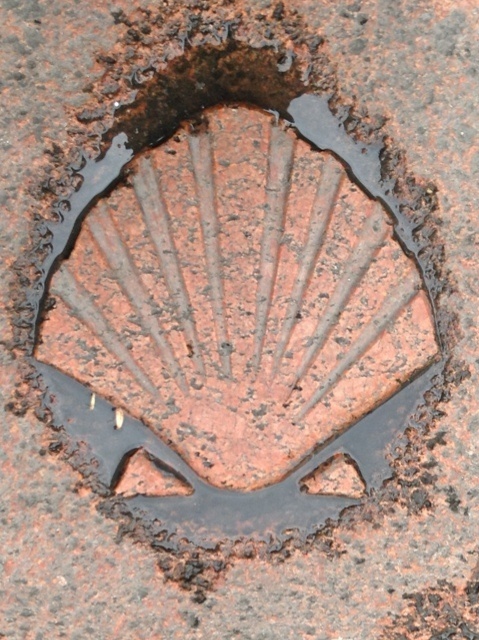 Many thanks for your comment – are you planning another Camino?